10/3/17 (New York, NY) As the federal government plans to step up deportations of immigrants, the Fund for New Citizens in The New York Community Trust recently announced $974,000 in grants to 15 groups to help New York City’s immigrants understand their rights and protect their families. These grants will help some organizations respond to the White House’s decision to terminate Deferred Action for Childhood Arrivals, or (DACA)—a program that provides young immigrants the opportunity to work and go to school without fear of deportation. Groups also will train immigrants to prepare for workplace raids and to create emergency plans to use if family members are arrested or deported. Other grantees will campaign for the extension of other forms of immigration relief, including Temporary Protected Status for victims of natural disasters. The Fund’s capacity-building grants program will help several lynchpin, immigrant-led groups resolve administrative challenges and expand their programming. “With fear gripping many of our immigrant communities, we are honored to join with our colleague foundations to provide flexible support to local nonprofits to respond to recent anti-immigrant policy changes,” says Shawn Morehead, a program director at The Trust and chair of the Fund for New Citizens. Since its founding in 1987, the Fund for New Citizens has helped local immigrants integrate into the City’s civic and economic life. After DACA was announced in 2012, its grantees screened approximately 11,000 young, immigrant New Yorkers for eligibility; more than 3,000 applied for the program. 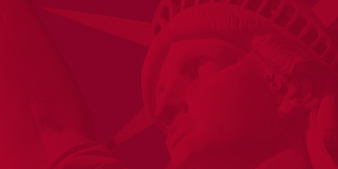 In addition to The New York Community Trust, contributors to Fund for New Citizens include the Altman Foundation; The Morton K. and Jane Blaustein Foundation; Booth Ferris Foundation; The Clark Foundation; FJC, A Foundation of Philanthropic Funds; Ford Foundation; Foundations to Promote Open Society; Harman Family Foundation; Interest on Lawyer Account Fund of the State of New York (IOLA); New York Foundation; Charles H. Revson Foundation; and RCHN Community Health Foundation. Adhikaar: $64,000 to expand immigration legal services, community education, and outreach to the Nepali-speaking community in and beyond Queens. Brandworkers: $60,000 to provide know-your-rights training to low-income immigrant workers across the City. Bronx Legal Services: $68,000 to conduct know-your-rights and emergency preparedness workshops through the Bronx Immigration Partnership. Cabrini Immigrant Services: $55,000 to improve donor and membership management at this lower Manhattan nonprofit. Council of Peoples Organization: $60,000 to educate South Asian immigrants in Brooklyn about their rights. Damayan Migrant Workers Association: $69,000 to inform the City’s undocumented Filipino immigrants about their rights, and help them create emergency plans for detention and/or deportation. Families for Freedom: $70,000 to support increased organizing and outreach to local immigrants at risk of deportation because of encounters with law enforcement. Hispanic Federation: $90,000 for a coalition of Latino-led nonprofits to advocate for immigrant rights. Make the Road New York: $70,000 to educate immigrants about current immigration policy, and build a network of volunteer non-immigrant advocates for immigrant rights. immigrant rights in Korean American communities in Queens. their rights, and help them document instances of discrimination and harassment. National Queer Asian Pacific Islander Alliance: $48,000 to develop a strategic plan and improve fundraising capacity. New York Legal Assistance Group: $40,000 to provide know-your-rights workshops and free legal advice to immigrants enrolled in the City’s high-school equivalency courses. Sunnyside Community Services: $95,000 to provide coordinated outreach, education, and immigration legal services through the Western Queens Immigrant Coalition. Women for Afghan Women: $55,000 to build capacity to provide know-your-rights workshops to Afghan, South Asian, and Muslim communities in Queens.